Contributions to their filed of knowledge through publications in indexed journals and other type of publication. Endorse, with their experience and prestige, the Journal’s quality in both its editorial practices and content. Help to share and promote the Journal. 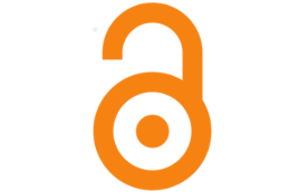 Suggest or recommend authors to submitt their papers to the Journal. Recommend people to become members of the Peer Reviewers Commitee. Contributions to their field of knowledge through publications in indexed journals and other type of publication. Must be familiarized with basic editorial processes. Research and peer review experience. Approve the selection of papers that will be published in every issue. Advise and support the journal’s work team whenever necessary. Attend the meetings set by the Journal. Whenever there is doubt, define the relevance of the publication of a paper. Training in the Journal’s subject area. Have published in indexed journals. Be skilled in the technologies used to edit, publish and promote de Journal: OJS, design software, computer language, social media. Know about copyright and licensing. Basic skills in graphic design. Know about tne Referencing norm adpoted by the Journal. Knowledge (domain desired) in at least two of the languages in which the Journal publishes. Management of the papers’ publishing process (submission, plagiarism filter, peer review, dictamination, quality control, publishing, communication and advertise). Representing the Journal in local, national and international spaces. Guarantee the Journal’s periodical and on time publication. Profesionalize the Journal and keep it updated in editorial and technological trends. Lead the Journal’s relations with its technical team, Editorial and Scientific Boards, authors, peer reviewers and readers. Advice both reviewers and authors during the peer review process and publishing process respectively. Submit and index the Journal in media that certify its quality and broaden the spaces where the Journals’s production can be accessed. Must have papers published in indexed journals. Evaluate the content of the papers assigned to review. Through their analysis and commentaries give feedback to the work of authors.